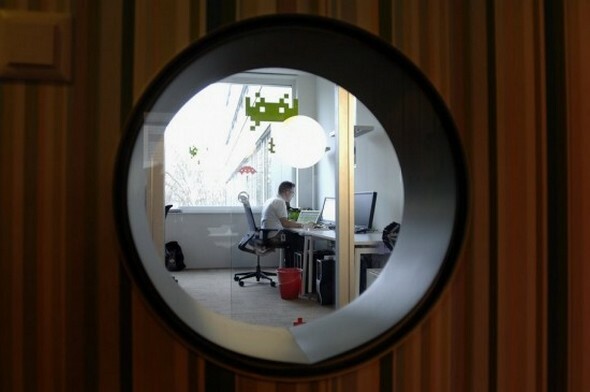 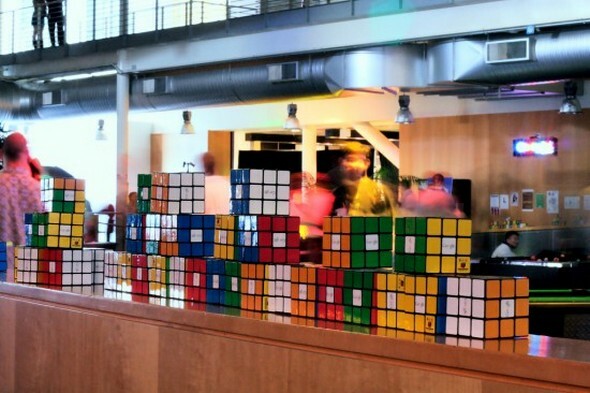 Google offices are known to be fun! 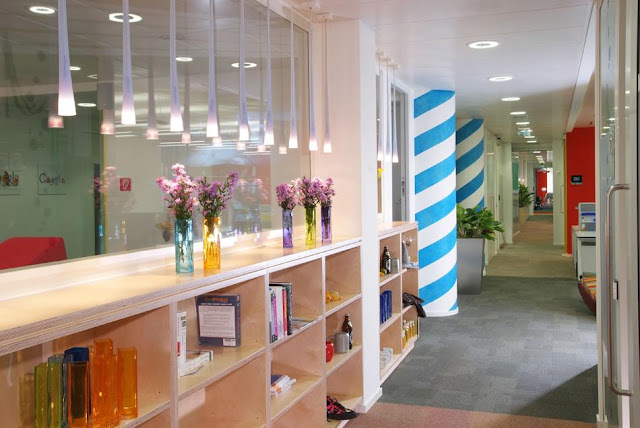 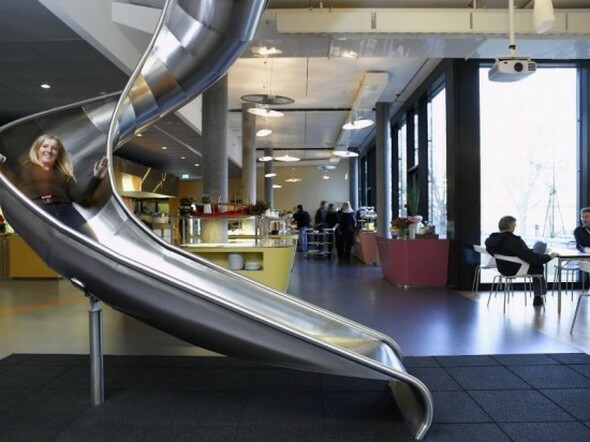 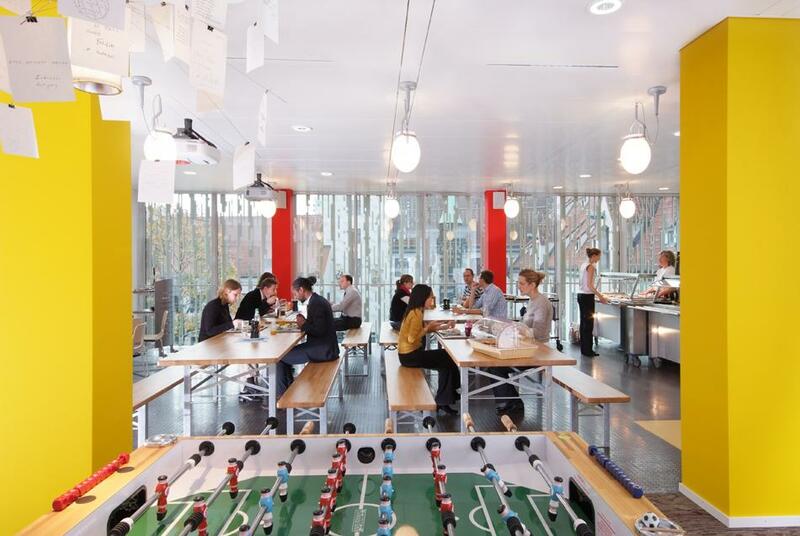 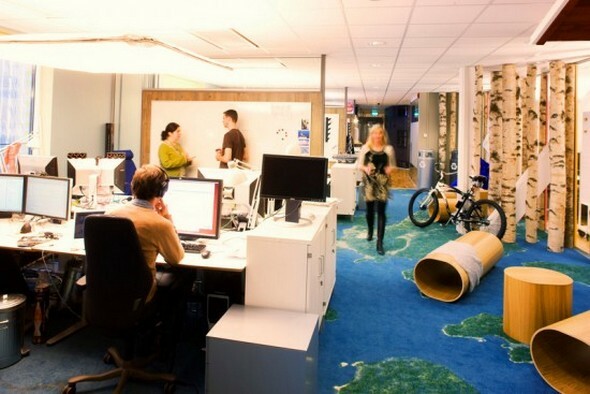 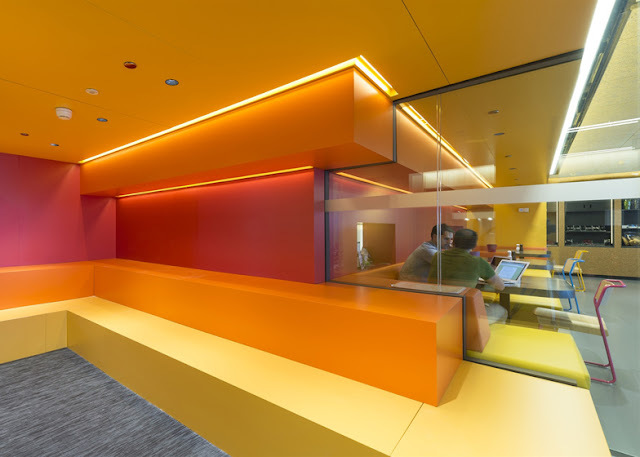 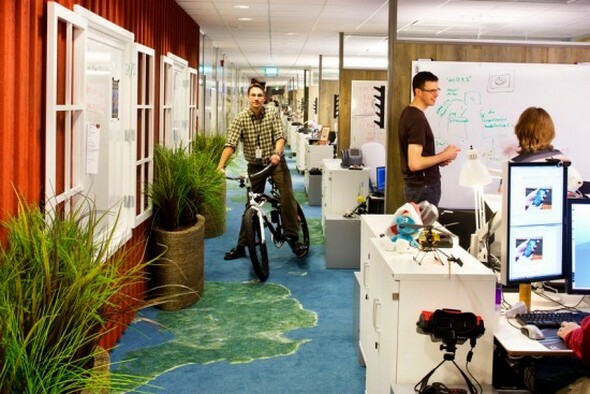 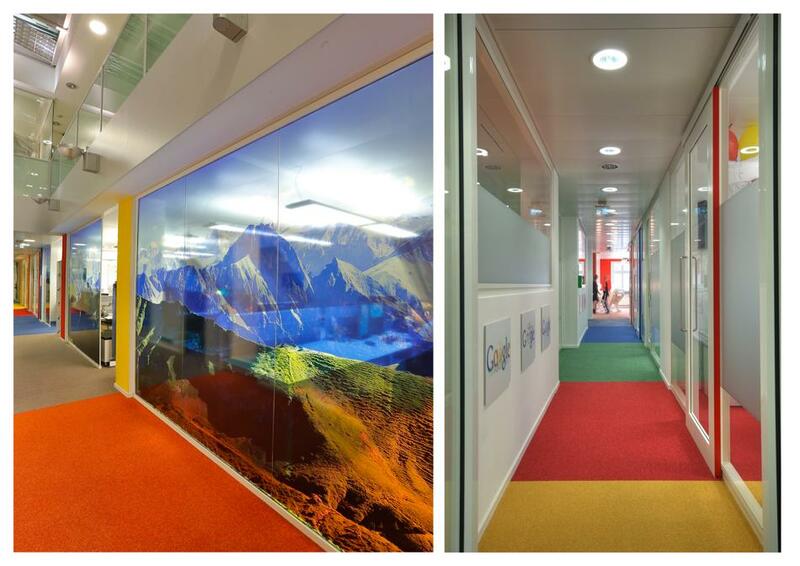 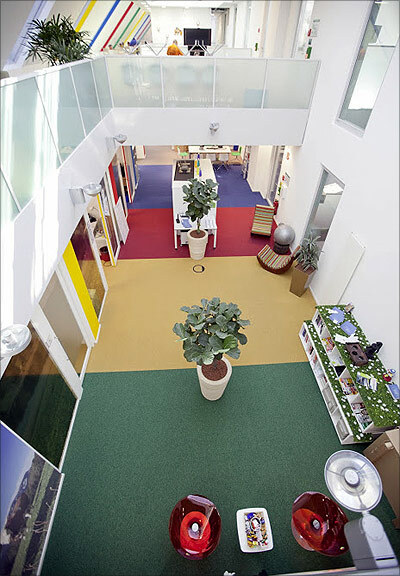 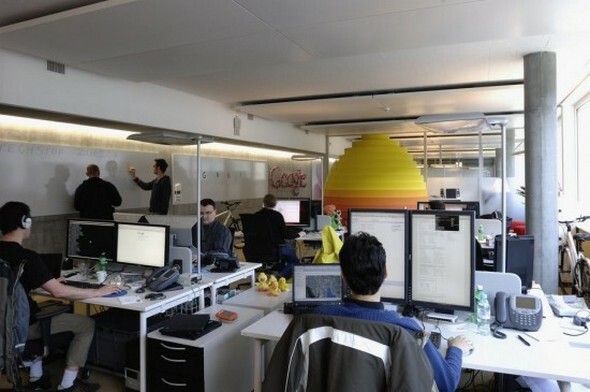 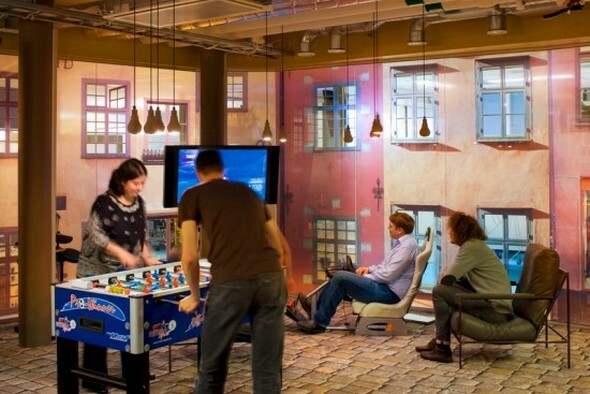 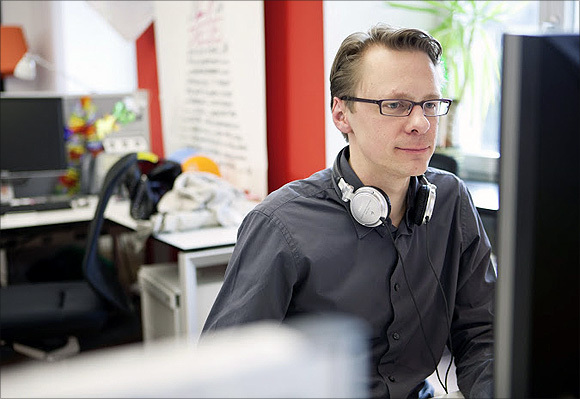 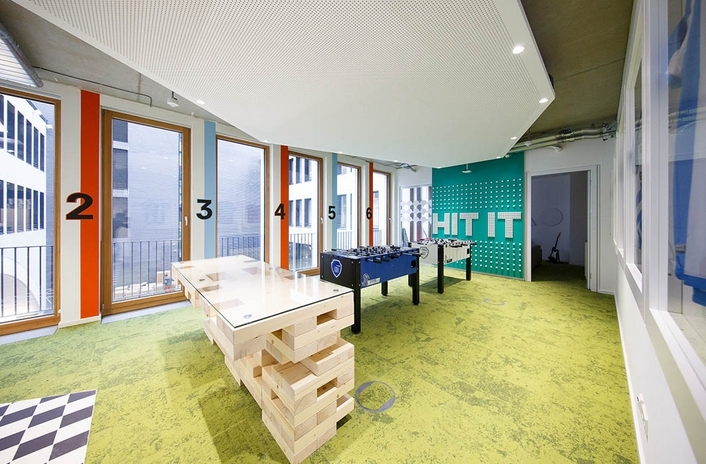 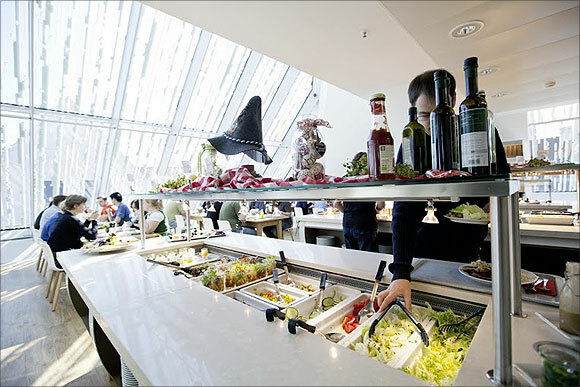 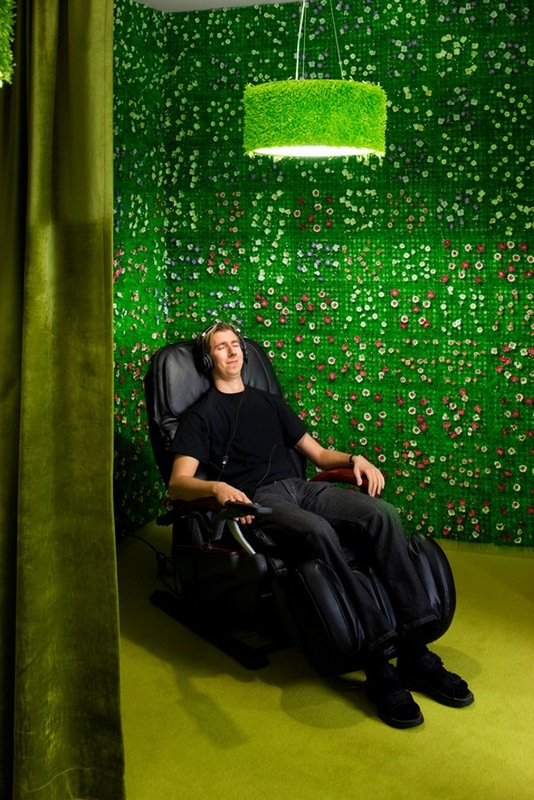 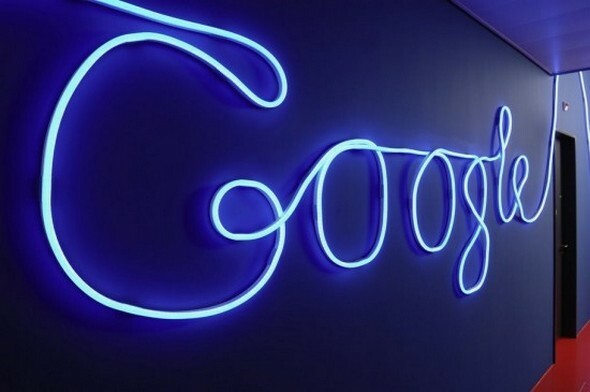 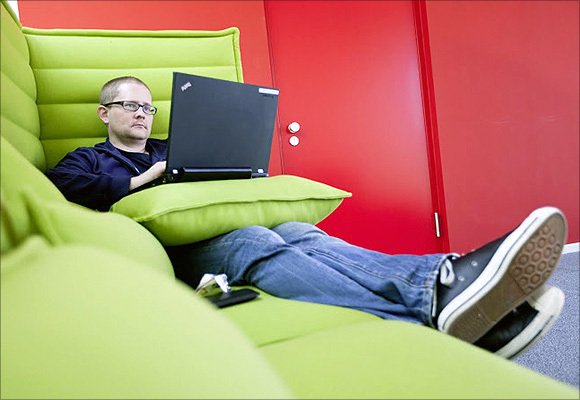 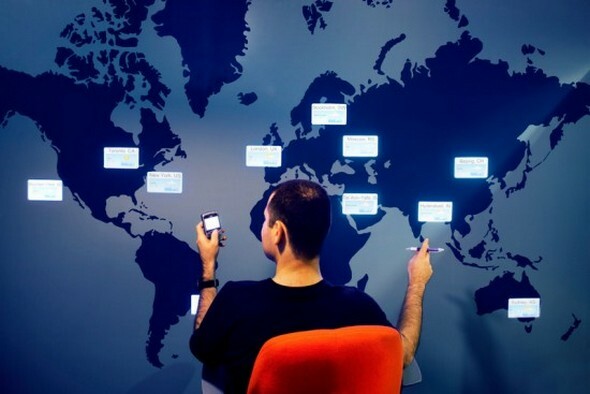 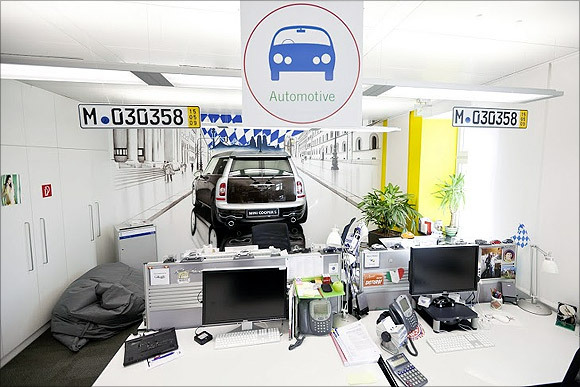 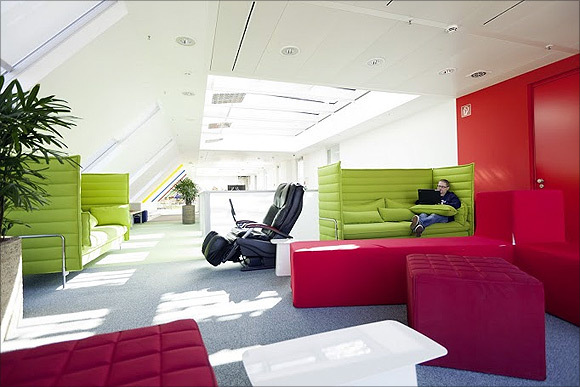 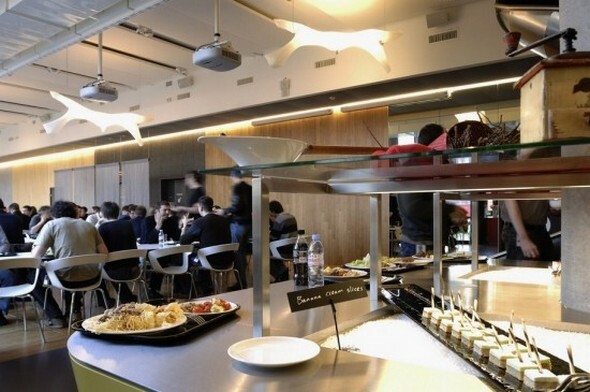 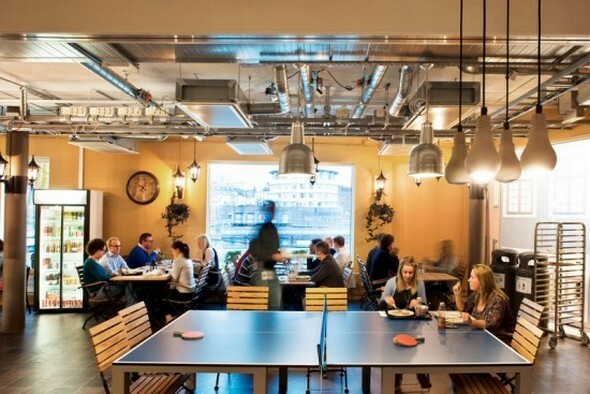 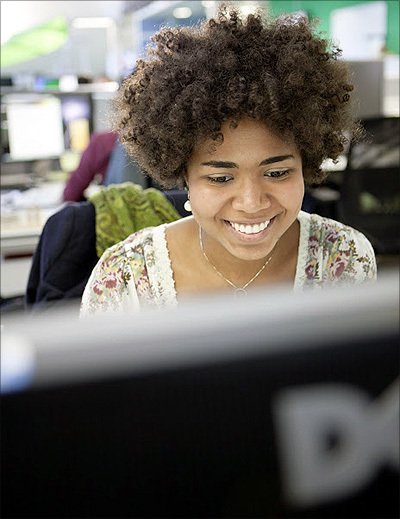 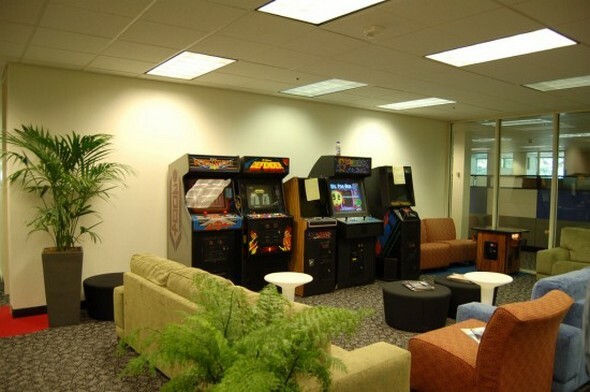 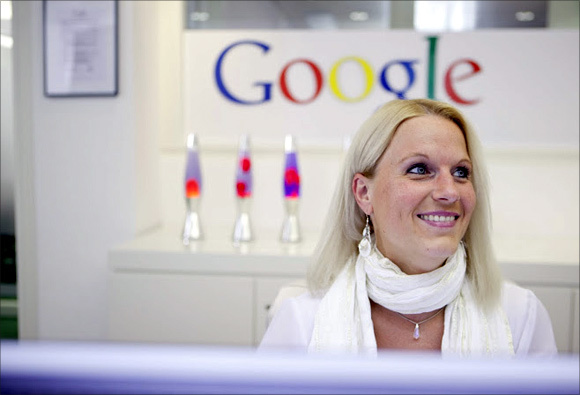 These photos below, are from different Google work places around the world. 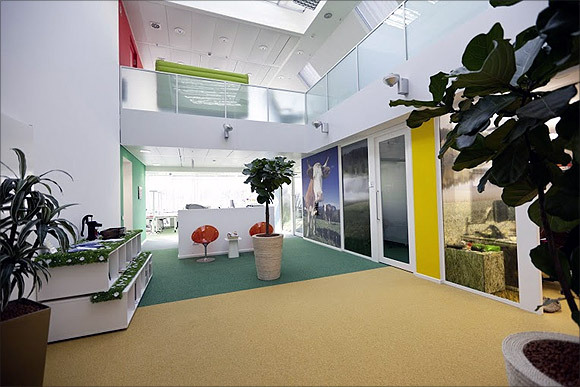 Google's headquarters in Spain is located on two floors of a high-rise building to the north of city centre in Madrid - the Torre Picasso. 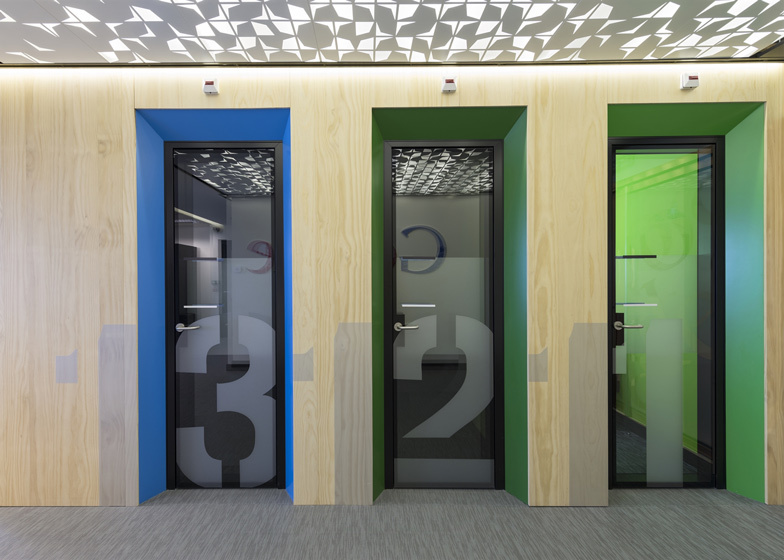 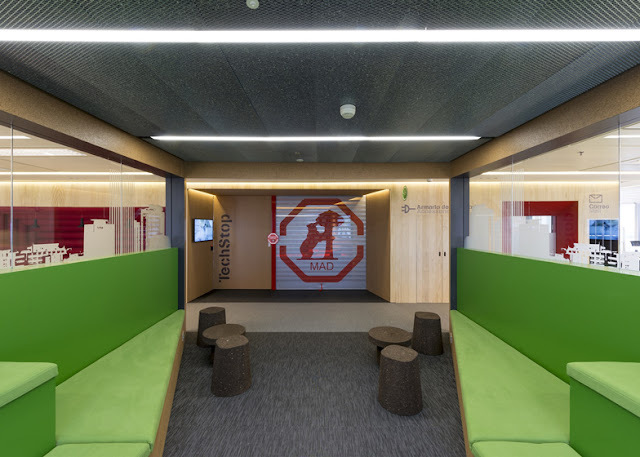 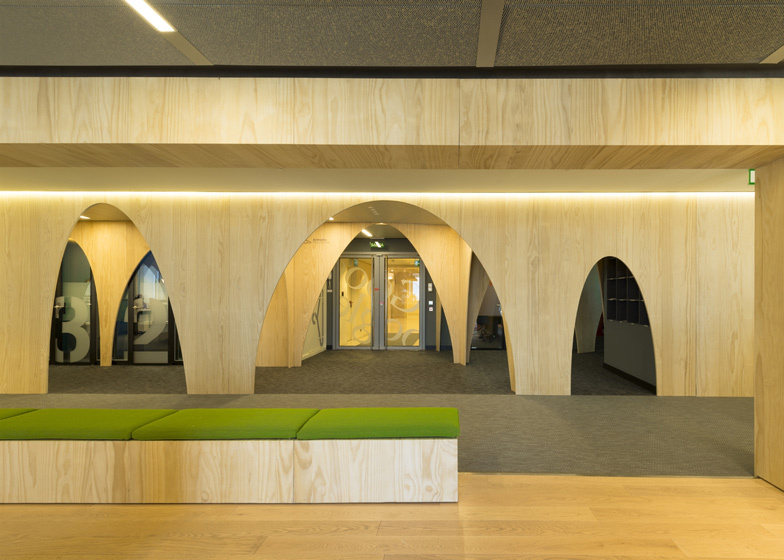 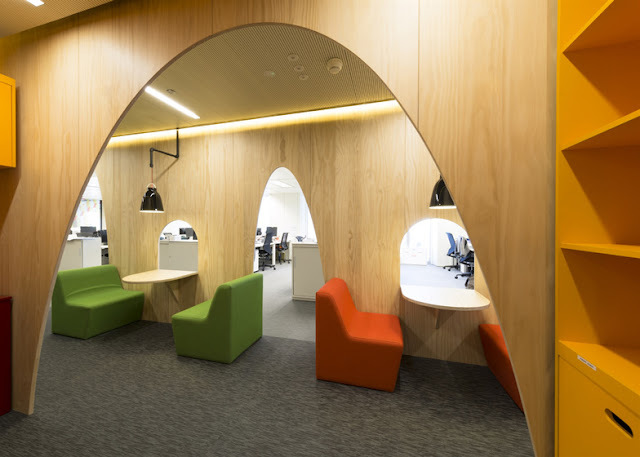 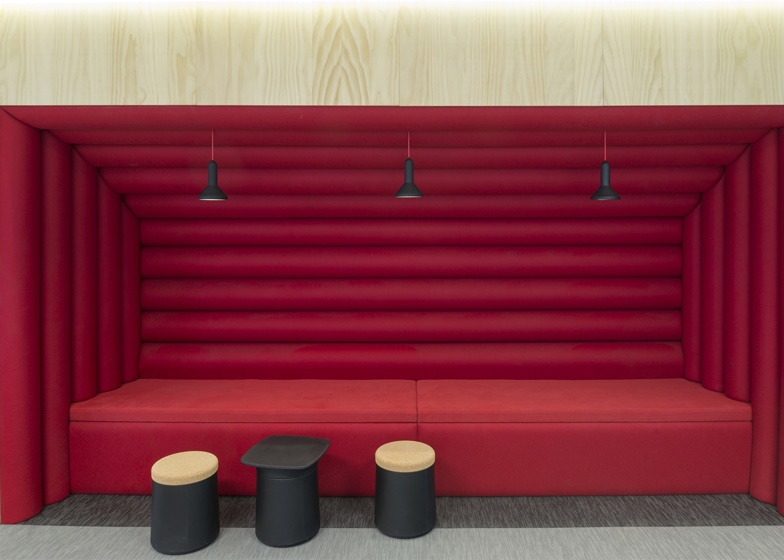 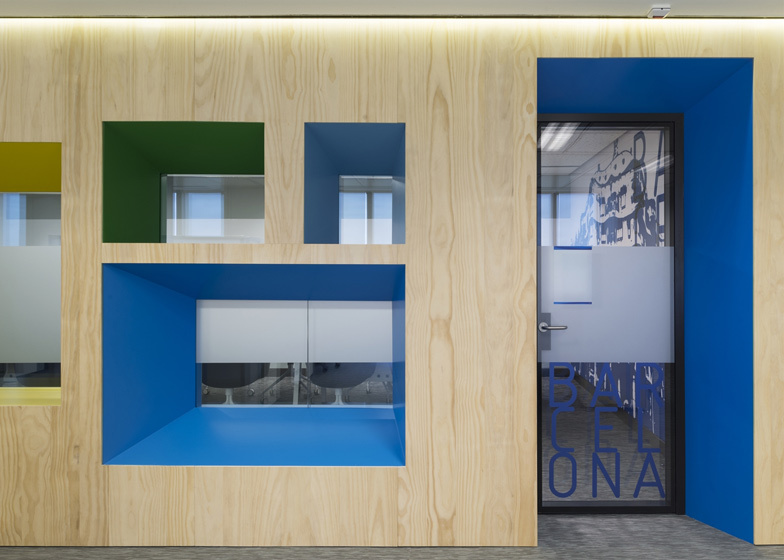 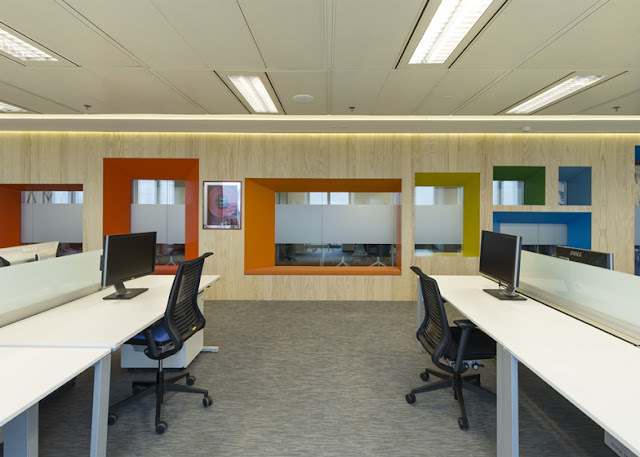 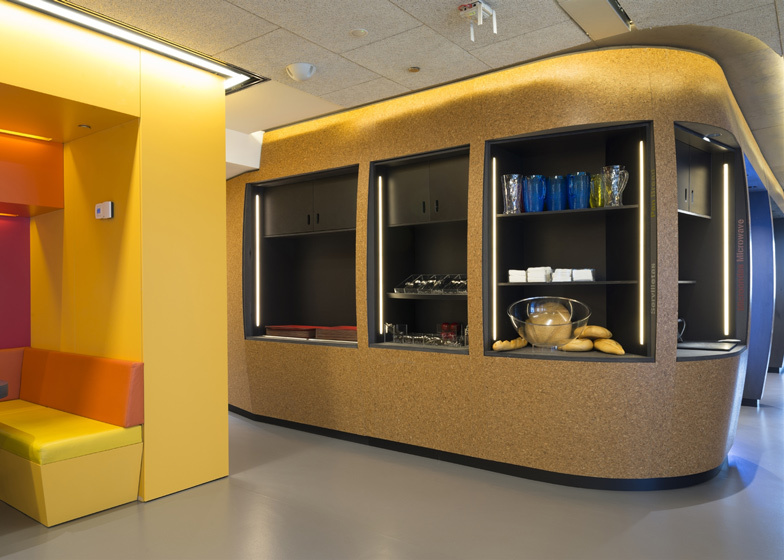 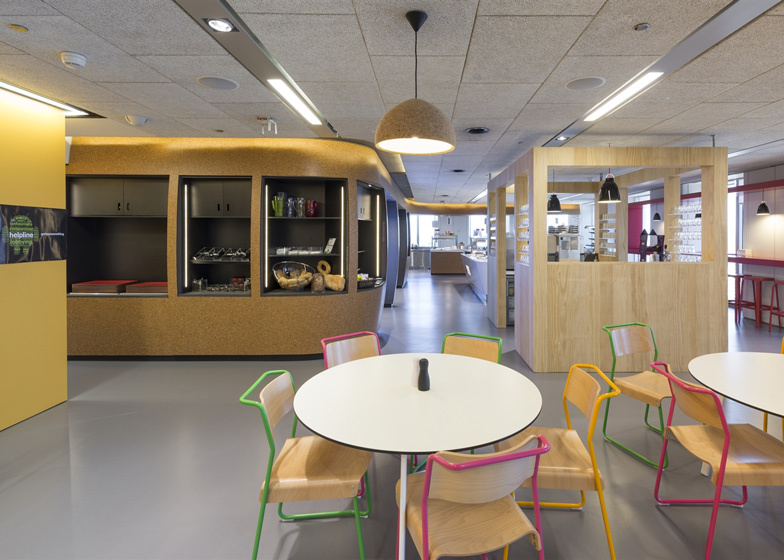 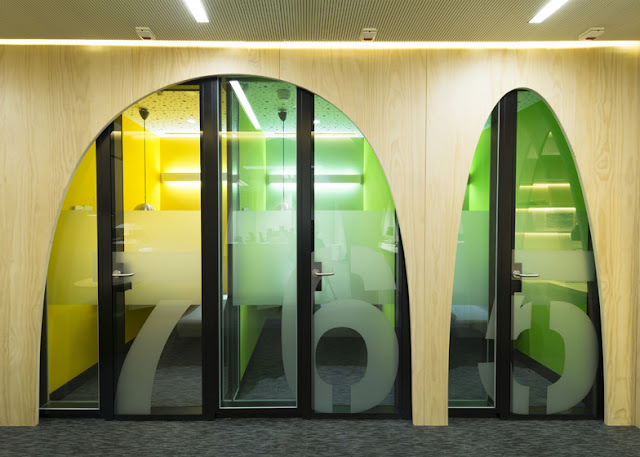 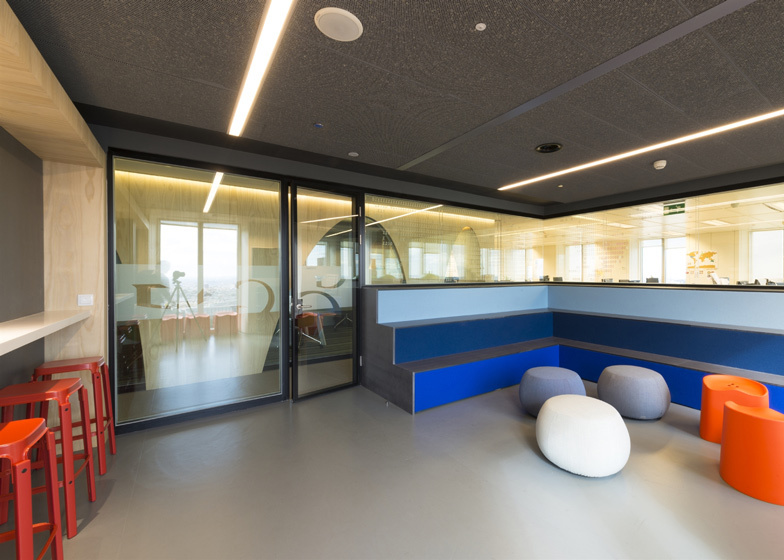 Colour-coded private workspaces and meeting rooms are tucked behind wooden arches in Google office in Madrid. 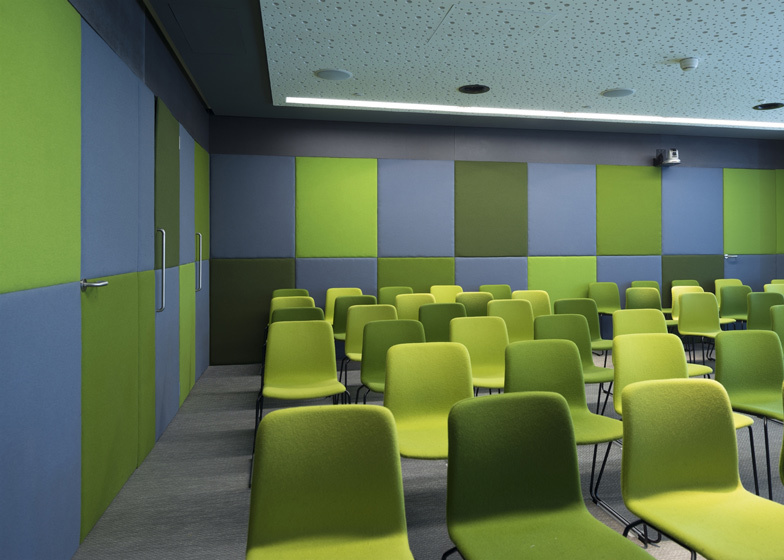 On the lower level can be found the lecture theatre, reception area, office space, canteen and a multi-functional area with kitchen catering fully equipped for the entire office. 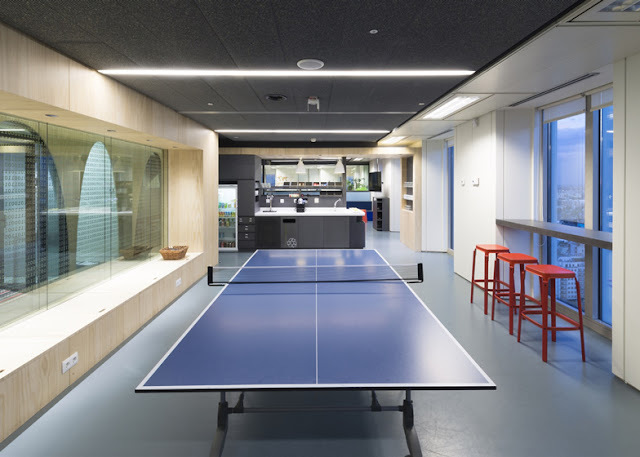 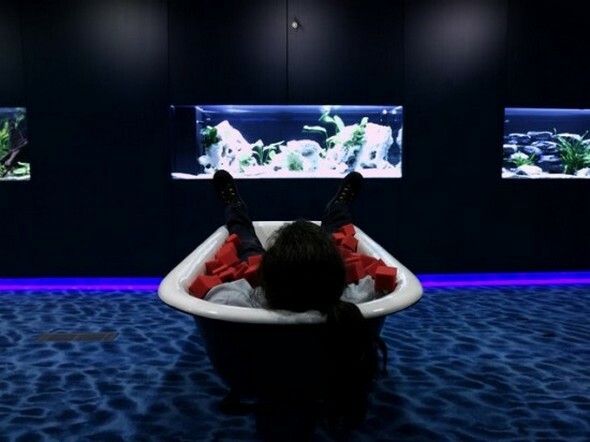 The upper level includes the bulk of the office area as well as additional informal presentation spaces, more extensive breakout areas with room for games, shower facilities, a hammock area and massage room. 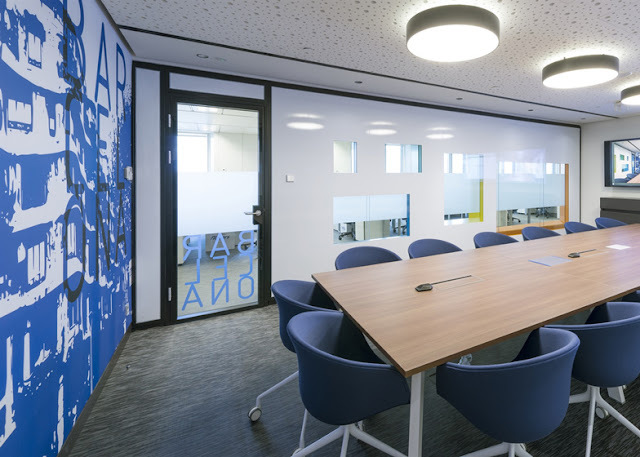 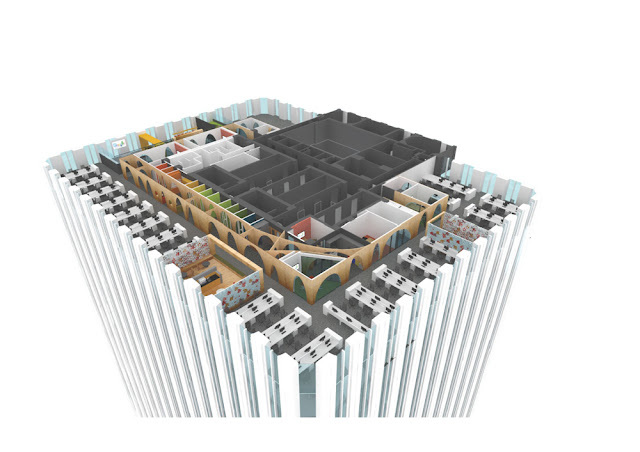 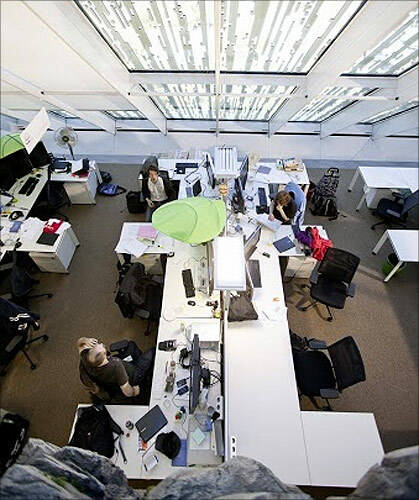 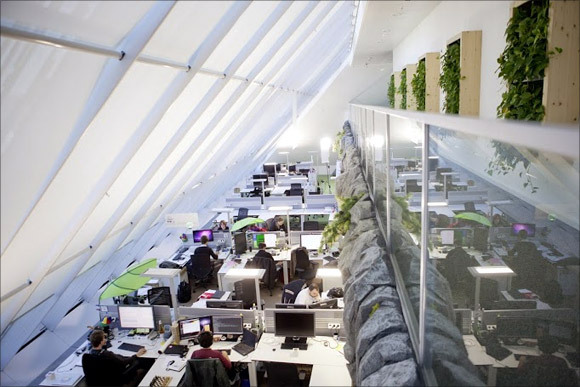 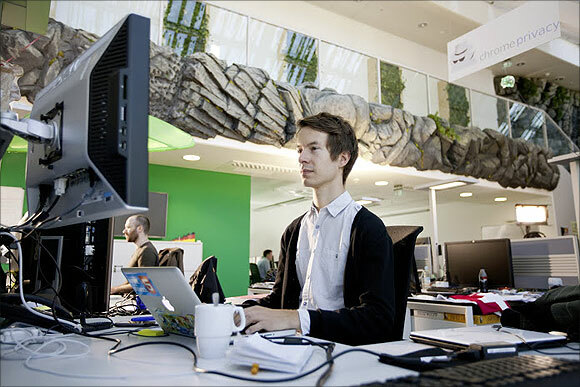 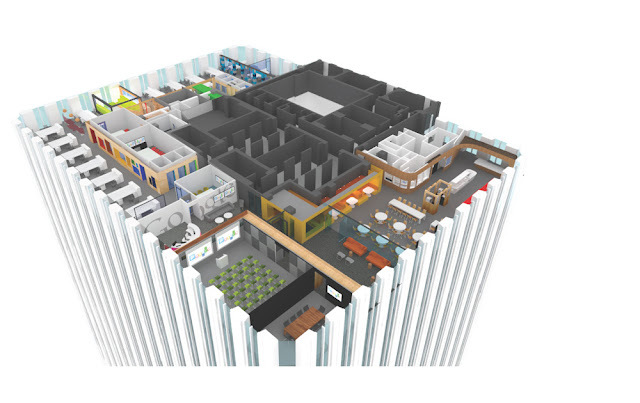 The overall architectural layout and arrangement of particular elements and various spaces has been carefully developed and considered to suit the unique working style of the IT company in general while successfully meeting the more exact requirements and needs of the local workforce. 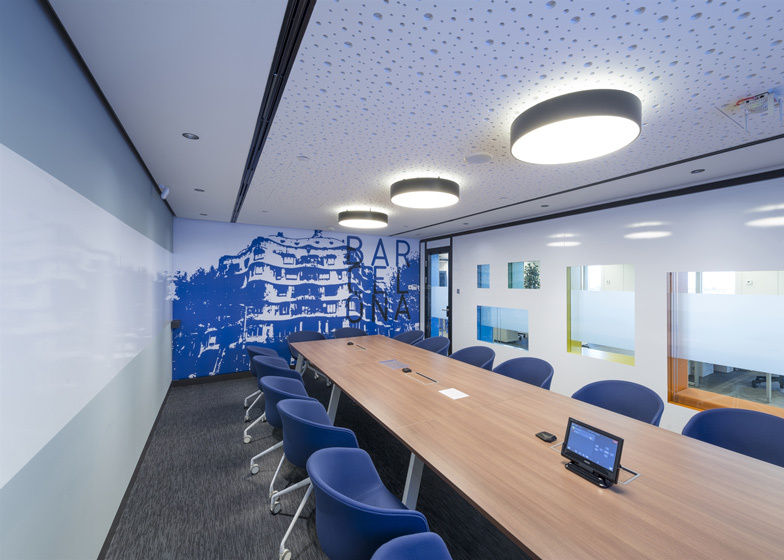 Specific requirements for acoustic properties of the interior for both the cabins for individual video conferences and the meeting rooms necessitated the accurate and careful selection of appropriate subcontractors and the very precise co-ordination of all the design teams involved to provide both aesthetically pleasing and robust details and solutions. 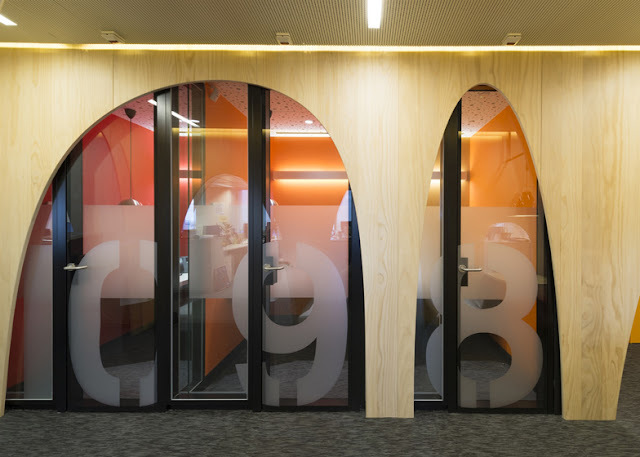 A reference to the material and spatial qualities of Spanish traditional architecture - the concept with a core element with timber archs - the scheme has created a highly characteristic environment that is sophisticated and relaxed at the same time and highly improved the efficiency of the floorplate. 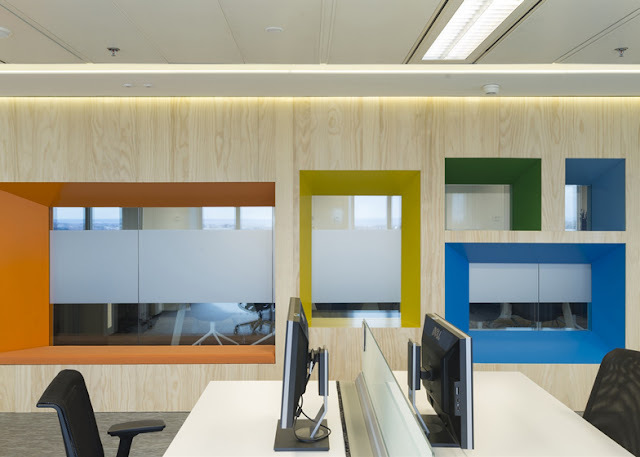 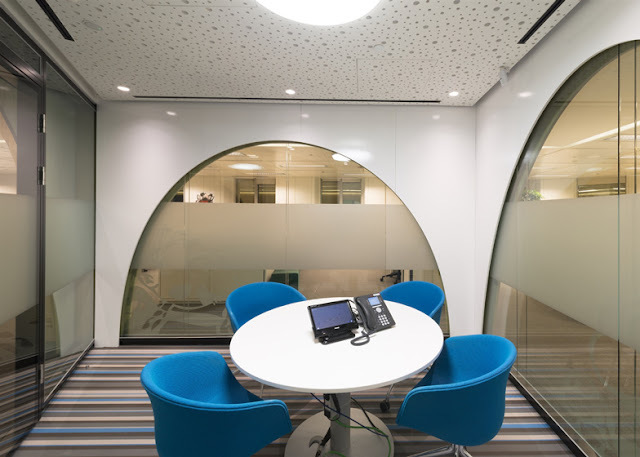 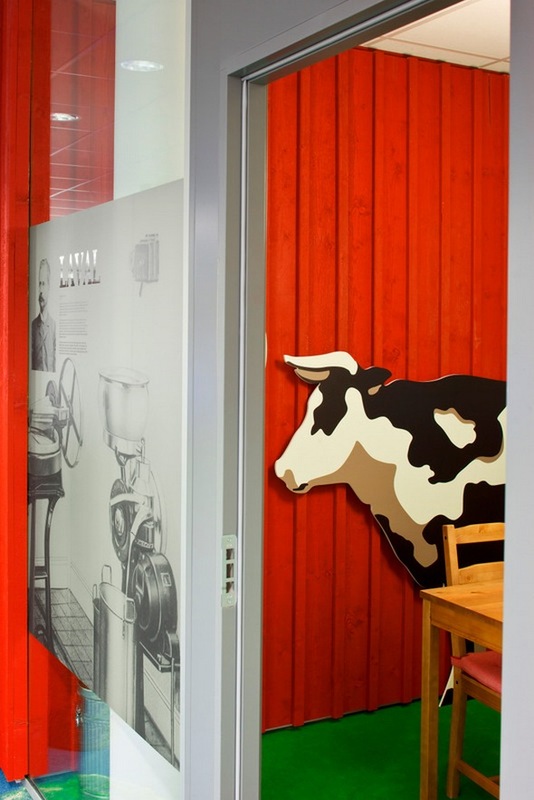 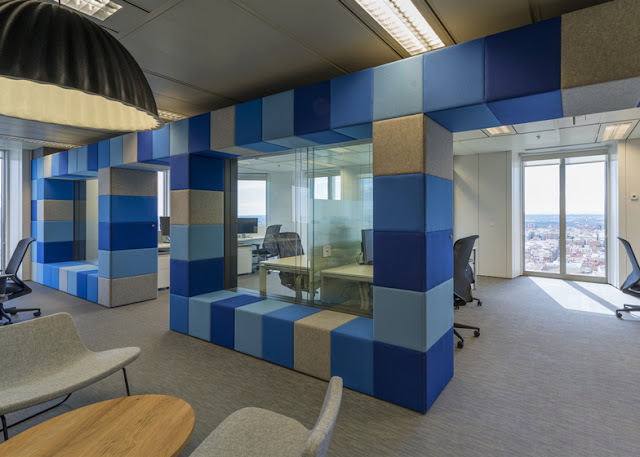 The office areas now boast a higher degree of functionality and flexibility, which fulfil the client's aspirations of friendly and unique workplace with local character. 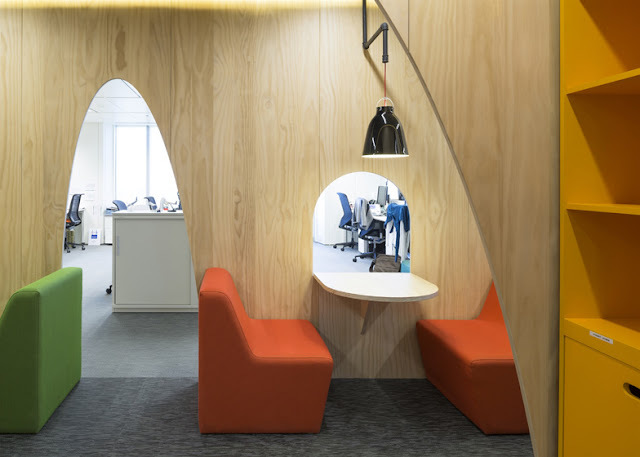 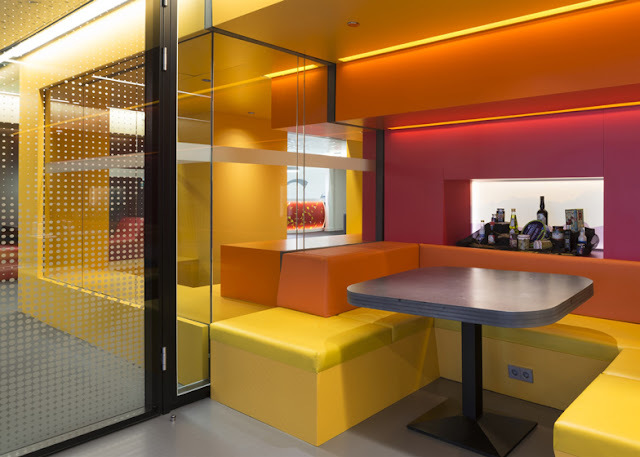 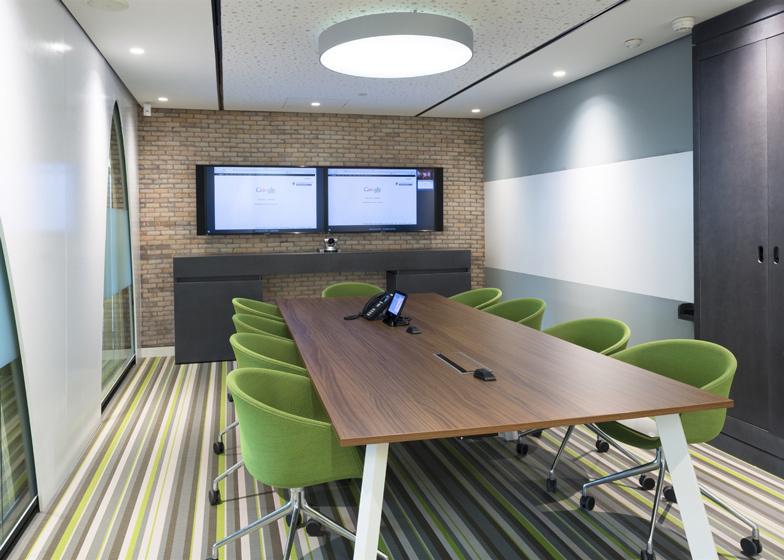 Now a usable and approachable spaces have strong identity and productivity has noticeably increased. 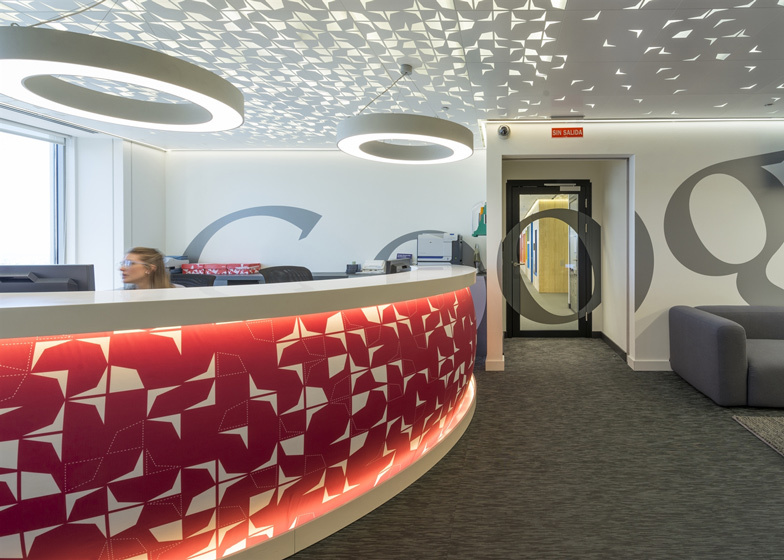 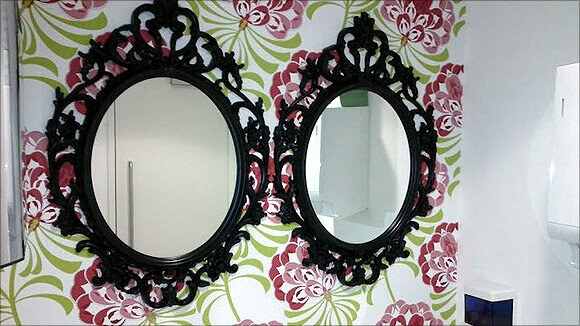 Patterns and graphics are printed on the front surface of the reception desk, office ceiling and walls. 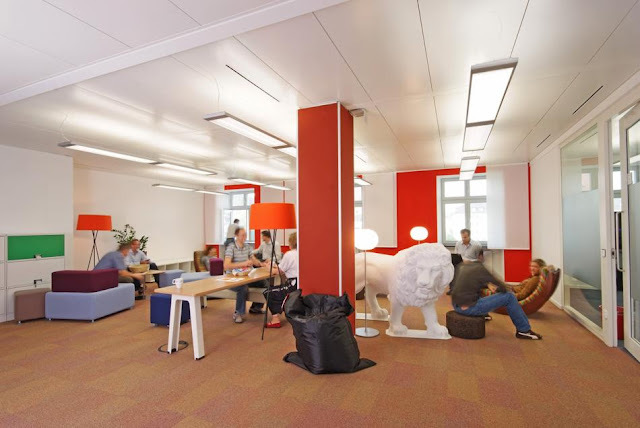 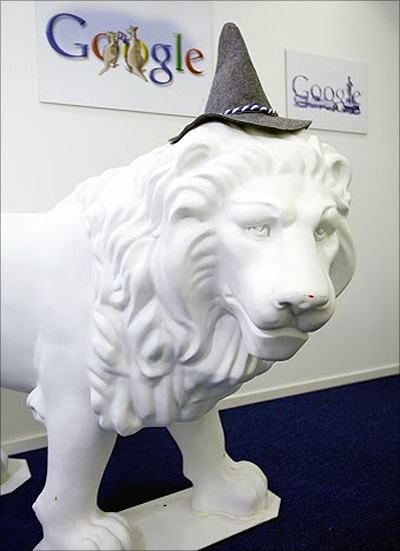 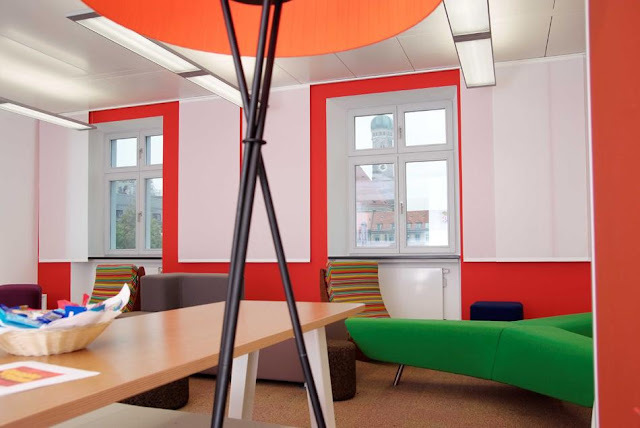 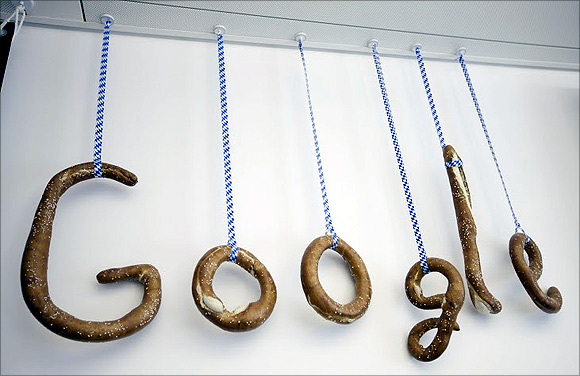 Google office in Munich has been set up in a beautiful renovated landmark building - duke of Bavaria, Ludwig II, lived here in the 13th century. 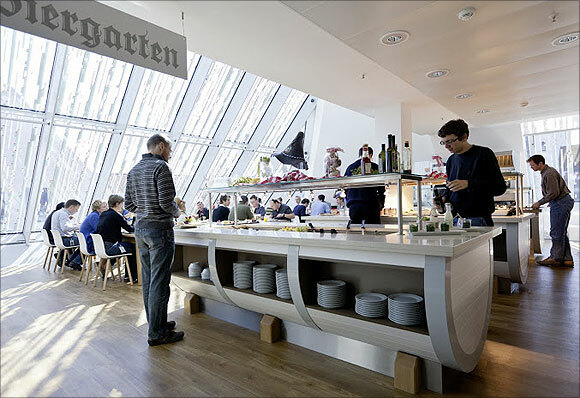 Neuschwanstein Castle, Bavaria, Germany, Alps.